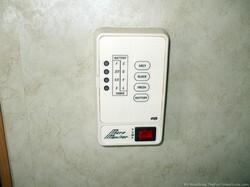 Is Your RV’s Monitor Panel Always Showing A Full Black Water Tank? You may be wondering if there is a surefire permanent cure for an inaccurate Black water tank level indication. The simple answer is NO. 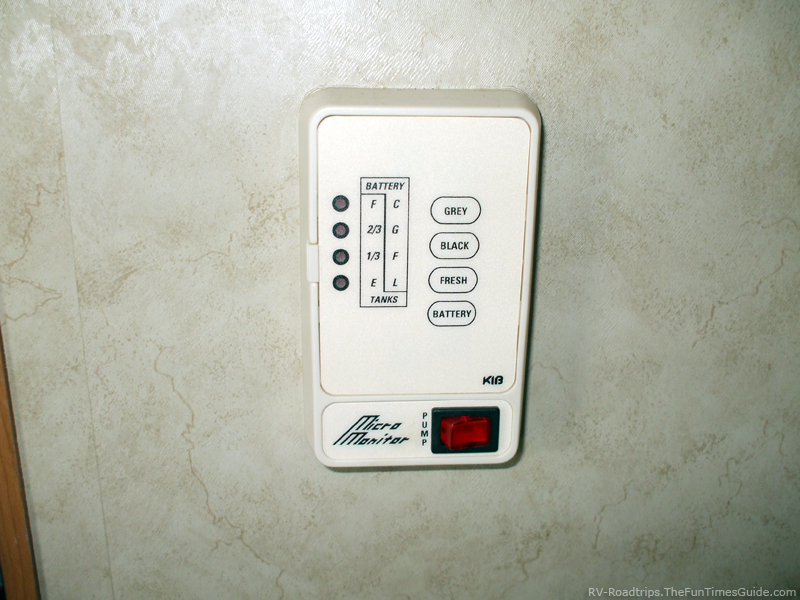 From the first time you use the toilet in your RV to the day you sell it, odds are the indicator panel for the level of waste in the Black tank will give you an inaccurate reading. The indicator lights on the monitor panel are activated by small sensors that are mounted through the side of the waste tank. They are inserted at different levels. In an ideal world, as the waste accumulates and reaches each progressive sensor, another light will be lit up. The one element that seems to wreak havoc on this simple system is toilet paper. Bits and pieces of the paper will catch and stay attached to the sensors. The result is the sensor thinks the tank is full to that particular sensor’s level and gives that indication on the light panel. Unfortunately, even after driving a lengthy distance — which allows most of the solids to break down — toilet paper will still stick to the sensors. Run a garden hose through the toilet and flush the tank. Buy a spray wand and, with high pressure water from a garden hose, you can attempt to break up any residual toilet paper particles. Fill the tank half full and drive around town making many corners. You may succeed in clearing the full indication lights on the monitor panel, but you can be assured that as soon as you use the toilet a few times, the lights will come on again. When pressed with this issue, the RV dealers will recommend you use special RV toilet paper and an assortment of chemicals to help break up all solid matter as well as control odor. Some people will say to use single-ply standard toilet paper from your local supermarket. 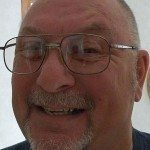 Here’s how I’ve handled toilet maintenance during the 3 years my wife and I were full time RVers. As we spent more time staying in one place rather than moving around, there were periods that our 5th wheel trailer never moved for months at a time. This would be considered the worst-case-scenario for an RV waste system as it is movement that breaks down the material in the tank, allowing it to drain completely when you open the dump valve. 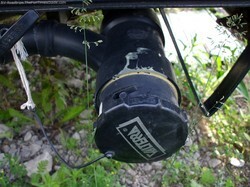 We had our sewer hose attached to a dump station at our campsite. It fed into the city sewer system, which didn’t require any pretreatment before dumping the waste. To avoid a buildup of solids, we left the Black (toilet) tank dump valve closed while the Gray (shower and kitchen) dump valve was always open. Going by the size of our Black tank, I determined we could easily go a week between each dumping of the Black tank. As there were only two of us, this allowed us to run a little extra water after every use of the toilet. 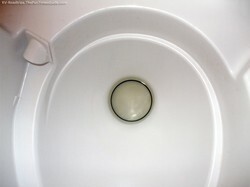 You can never use too much water in your toilet tank — it keeps things liquid and prevents a buildup of solids. Beyond once a week pulling the T-handle to drain the Black tank, the only maintenance I did was about every 3-4 months when I would stick a garden hose down the toilet and attempt to flush the tank out as well as possible. This was more of a preventative maintenance item to help prevent a build up of solids, as I never did have any problem with solids not breaking down. Did I use special RV toilet paper? No, I used whatever was on sale at Walmart. Did I use special chemicals? No, and I never experienced any odor problems even through hot Texas summers. Did my monitor panel ever give an accurate indication? No, it always showed full.